Marijuana and drug possession offenses in Detroit are prosecuted seriously, and the possible result of a delivery conviction could potentially have a lifelong consequences. A drug conviction in Detroit can result in: confinement in jail or prison; driver's license suspension, restrictions, or revocation; employment issues/the loss of a professional license, immigration problems, etc. In general, a drug related conviction changes your ability to live your life as you choose. Factors that can influence a drug charge and sentence if convicted, include: who is prosecuting the allegation (State or Federal prosecutor); the Judge assigned; your alleged intent (use, simple possession, delivery, conspiracy, etc. ); the presence of a firearm; the type or schedule of drug allegedly possessed or delivered; the weight of the drug; the location where the substance was alleged possessed or distributed (home, school zone, prison, Federal land, etc. ); and your prior record. Not all drug allegations result in conviction. Not all drug convictions result in a bad outcome. Many first time drug possession convictions can be kept hidden from public view. Having a top rated criminal defense attorney guiding you is a wise decision. 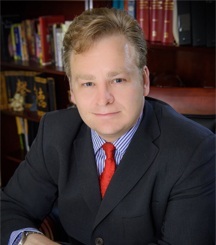 As a top tier defense lawyer, Daniel Hilf has successfully represented thousands of persons in his career in the metro-Detroit area. Do not settle for the first lawyer you find when it comes to your drug possession or delivery case. The ability to defend drug possession and drug delivery charges develops only with experience. Finding the right criminal defense lawyer for you is an important decision. If you have been accused of a drug crime in Detroit, contact us for a consultation and representation.